Some of our learners on our Study Programme GCSE English course have been working hard on developing their English skills and recently started writing their own newsletter. Here is the latest March Edition. 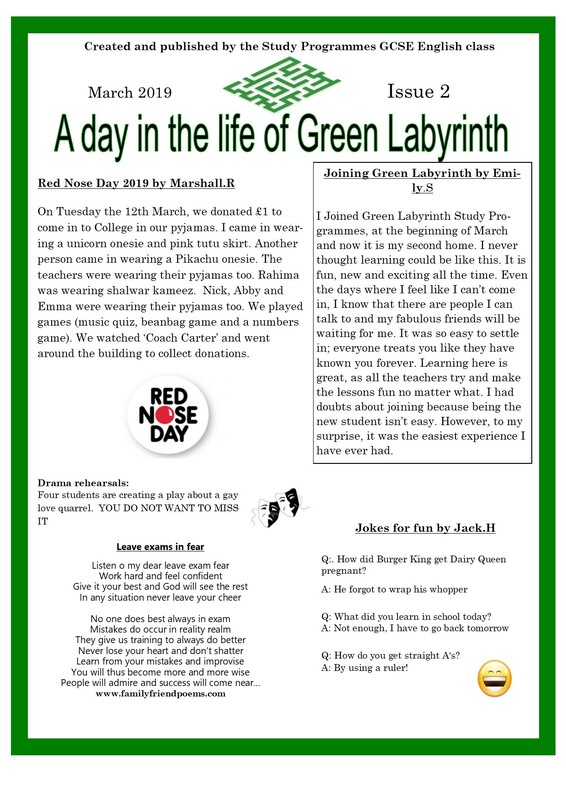 This months edition includes Red Nose Day, jokes, a poem and a case study.